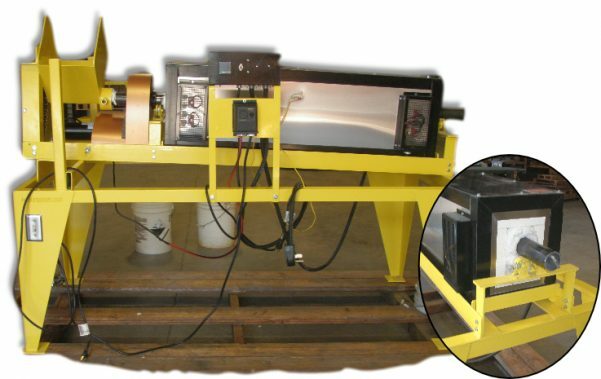 Gravity separation with wave tables, fine gold recovery : Action Mining Services Inc.
Our knowledgeable and service-conscious staff are readily available to assist you in your mining equipment needs. 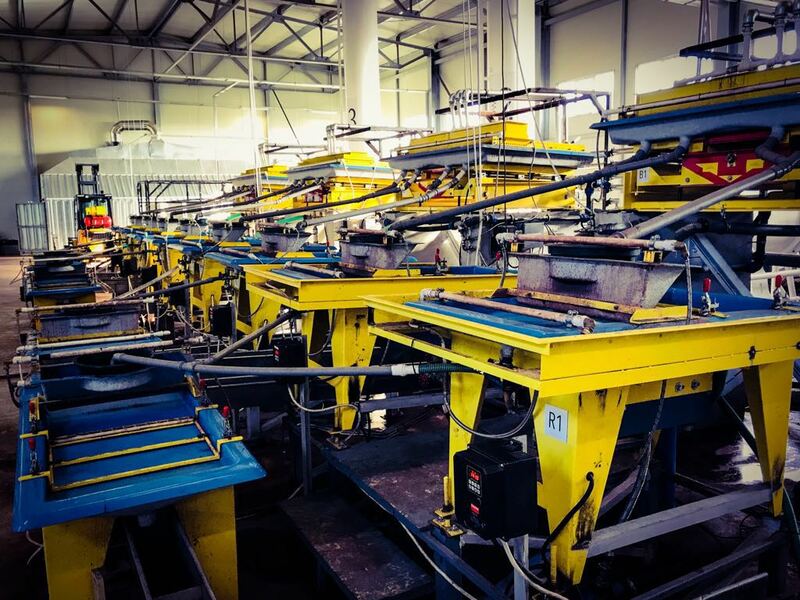 AMS maintains its original credo of “Innovators in Noble Metal Technology”, being suppliers of a vast range of products, with shipment worldwide, including the dynamic concentrator – the Micron Mill Wave Table. 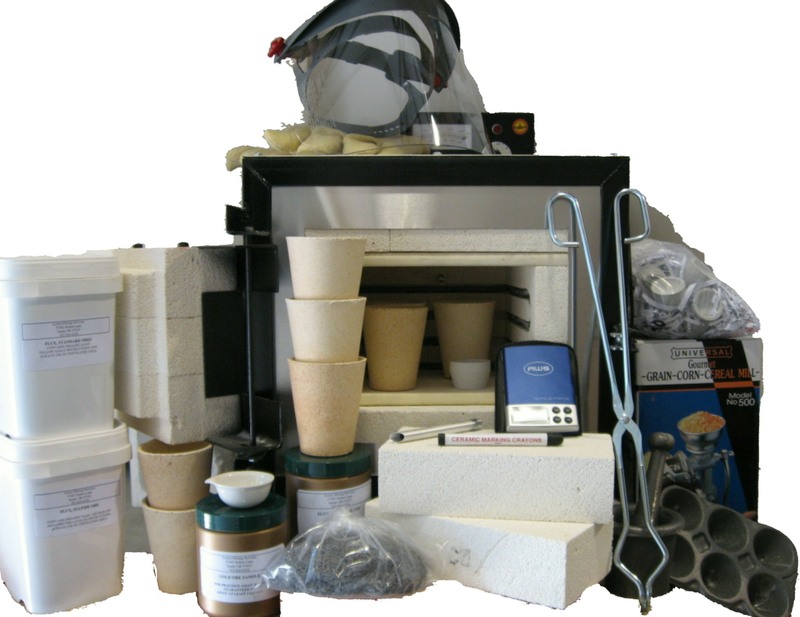 ONLINE STORE UNDER CONSTRUCTION ….we are currently working on our online store so that you are able to order online. If there is something you can’t find, please feel free to contact us and we will be happy to assist you. Want to pick up an order in Sandy, Oregon…… please call 503.826.9330 to place the order on will call first, this way our staff can have pulled and ready for pick up. 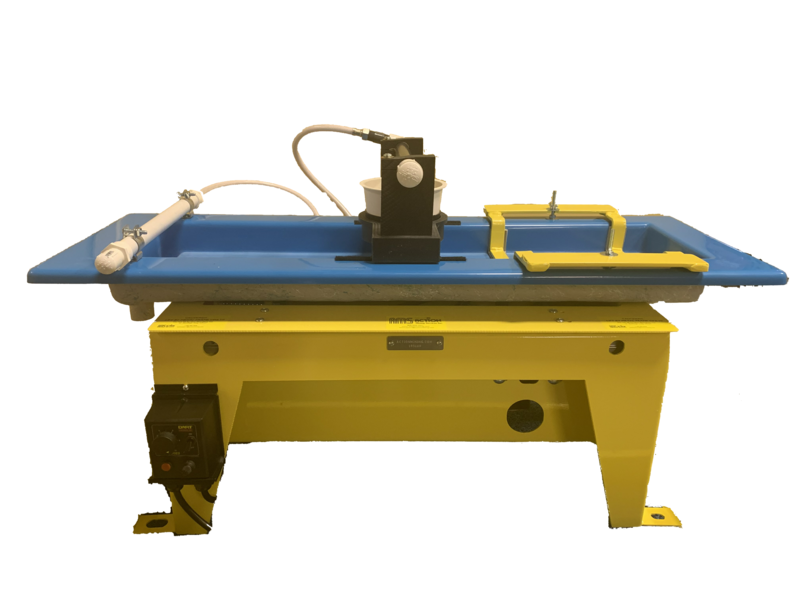 Our 2019 mid-size Wave Table Model M7/8/9 now has easy accessible grease fittings located on the outer main frame, along with metal screen paneling for each side for safety. The motor frame has also been redesigned for optimum performance and safety. 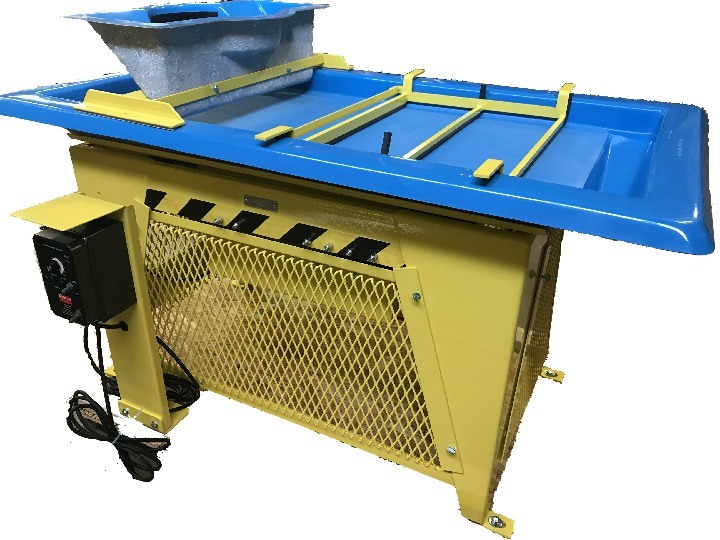 Also included: 1) a built-in hydraulic jack lift (jack included), 2) 2 leveling risers to accommodate any platform, 3) a formed feed trough for interchangeable mesh screens (-20 mesh screen included) for testing, 4) double the number of linear bearings for improved performance. 5) variable speed control. See catalog for more details. The M5 Lab/Bench Model Wave Table-now with built in screen-it retains its portability for field work, while updated to better resemble and operate like the larger production models. A perfect “Mini-Me”! Now available in 110V or 220V motor for standard in-house laboratory testing. New feed trough will be solid ultra-high density black plastic. See catalog for more info. Assay lab is currently CLOSED for spring cleaning! Please call if you have any questions. © 2019 Copyright Action Mining Services Inc.